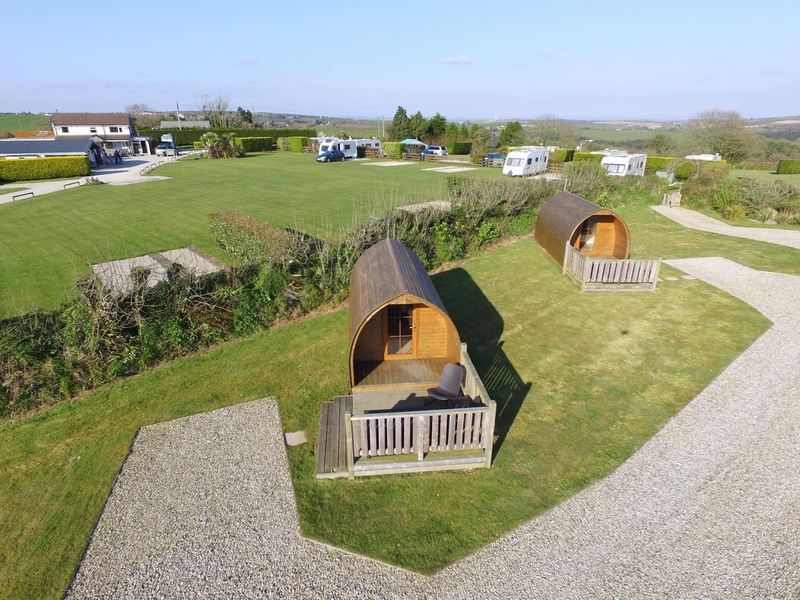 Looe Country Park offers 5 star camping, touring and glamping facilities in Looe, Cornwall. We are perfect for a relaxing and tranquil break away. Looe Country Park is open all year round and is perfect peace and quiet. We do not have a noisy clubhouse or bar, just the facilities needed to have a comfortable and relaxing stay. We have 34 spacious individually marked separate pitches. All have water points within easy reach and ample electric hook up points. Some having water, drainage and electric on the pitch. Looe Country Park is about quality rather than quantity. We never allow the park to become overcrowded. We have an excellent heated toilet and shower block with free hand soap, hair dryers and shaving points. There is a fully equipped laundry room with coin operated washer & dryer and iron & ironing board. We have 5 superb, immaculately kept caravan holiday homes. Each comes with its own unspoilt view across the grassed area of the park and countryside. Each of our 4-6 berth holiday homes offers comfortable, spotlessly clean accommodation. They come with open plan living and dining areas with gas fire, TV and Freeview. The fully equipped kitchen comes with a fridge, microwave, fully oven and hob. Bedrooms consist of a double and twin bedroom. A shower room comes with a toilet and wash basin. Outside is a lovely decking area with table and chairs. An ideal place for a spot of al fresco dining. Available for weekly hire or short breaks. The views from the park are outstanding. You can see as far as the Cornish Alps (St Austell) to the West and Dartmoor & Exmoor to the East. After a long day, sit back, relax and enjoy the fantastic sunsets. Our park caters for people looking for a quiet peaceful holiday as we do not accept bookings from large all male or female groups. Looe Country Park is an amazing place for anyone in need of relaxation.